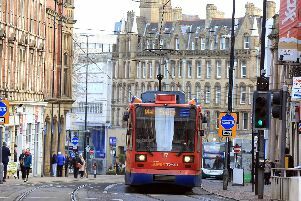 Brexit, international events and the media are all making Sheffield people feel uneasy. These are the findings of a wide ranging new report by Sheffield Council, which has spent the past three years working on a Community Cohesion strategy for the city. This is part of a series of stories looking at this strategy. The council says the timing of the strategy is particularly important due to international and national political situations, such as Brexit. Angela Greenwood, community services manager at Sheffield Council, says people in Sheffield are being affected by a number of different issues. “The use of social media can draw vulnerable and idealistic young people to certain causes. This creates immense distress to families and fear in the wider population. “Recent attacks in European cities combined with escalation of recruitment have increased monitoring of perceived potential recruits. Although safeguards are necessary, increased monitoring can create a climate of suspicion and threaten cohesion. The council says positive stories of communities working together need to be told. “Alternative narratives are essential to allow people to form more complex views, beyond simplistic headlines. The report says a “significant barrier” to community cohesion is poor knowledge and understanding of one another and of different ways of life. “This is particularly the case for perceptions on religions. Overcoming these barriers is a growing challenge every day. We need to encourage the development of a meaningful understanding and appreciation of different ways of life. It will work with schools to encourage pupils and parents from different backgrounds and cultures to mix and learn from each other. It says: “Often race and faith are seen as the most frequent friction points within communities, but cohesion is about promoting good relationships within communities and equality for all. The council worked with voluntary, community and faith organisations on the new strategy and the result was an in-depth report called Sheffield Together: The Sheffield Cohesion Framework.